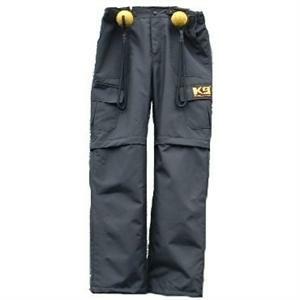 K9 Trouser: high quality 100% waterproof Polyester with strong original YKK® zippers. Very modern, trendy en functional MCRS® design, made to last for ever. Color: black with orange accents. 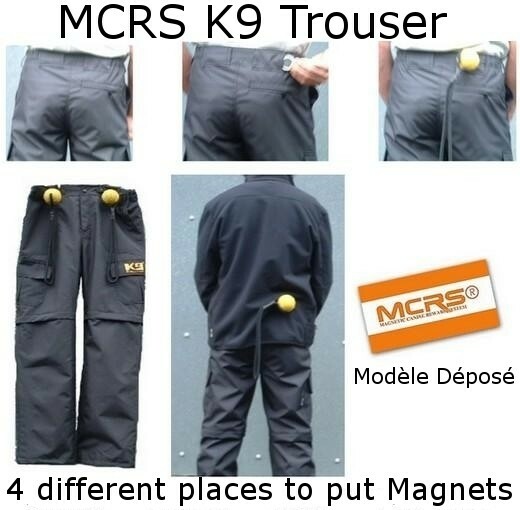 The MCRS® trouser can also be used as normal Dogtrainers trouser, this without the use of magnets. Works only in combination with the original MCRS® Magnet (can be put on max 4 different strategical places) and MCRS® Ball or MCRS® Biteroll. Each MCRS® Trouser has velcro-closed-pockets, thrue this velcro-opening the magnet(s) can be put in the desired outside pocket.